Stainless steel guitar slides are especially great for playing the blues, bluegrass and country music but can be applied to almost any genre of music. 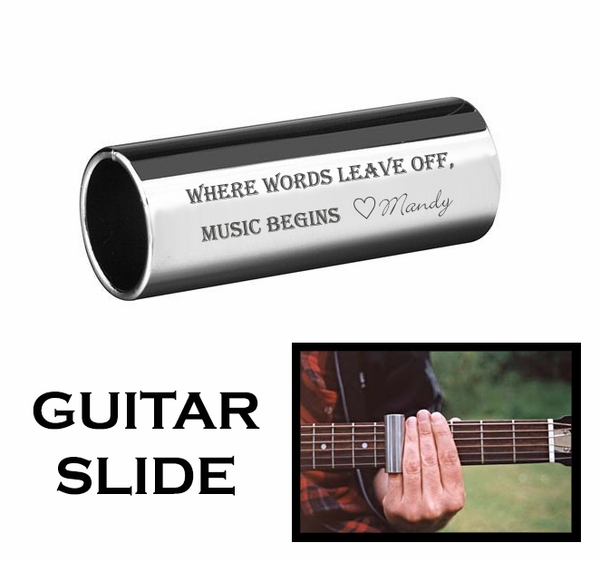 Slide guitar is a particular method or technique for playing the guitar. Instead of altering the pitch of the strings in the normal manner (by pressing the string against frets), an object called a "slide" is placed upon the string to vary its vibrating length, and pitch. This slide can then be moved along the string without lifting (hence the name), creating smooth transitions in pitch and allowing wide, expressive vibrato. 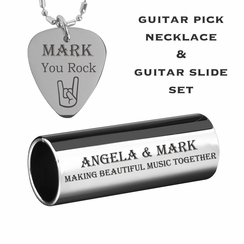 This high polished stainless steel guitar slide will never change color, corrode or fade.